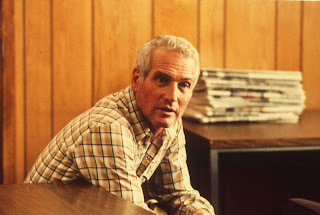 In the afterglow of the newspaper industry's greatest movie triumph as captured in All The President's Men, the other, darker powers of the press received a grilling in Absence Of Malice. The destructive powers of wayward journalism are examined in a partially muddled film that gets sidetracked too easily and trips over its own attempted cleverness. Newspaper journalist Megan Carter (Sally Field) gets an inside scoop about the investigation into missing union boss Joey Diaz: the police task force is focusing on Michael Gallagher (Paul Newman), the son of a notorious underworld crime boss, as a possible suspect. Carter runs with the story, naming Gallagher despite no evidence linking him to the Diaz disappearance. With union bosses refusing to deal with him while he is under a cloud, Gallagher's legitimate business is ruined. Intent on finding out how she got her story, Gallagher pursues Carter, but she refuses to reveal her sources. Gallagher's friend Teresa Peron (Melinda Dillon) steps forward to reveal that she can vouch for Gallagher's innocence, but a tragedy is triggered when her story is made public, further straining the relationship between Michael and Megan. Nevertheless they embark on a romance, while Gallagher hatches a plan to turn the tables on the press, the Diaz case investigators, and the District Attorney's office. 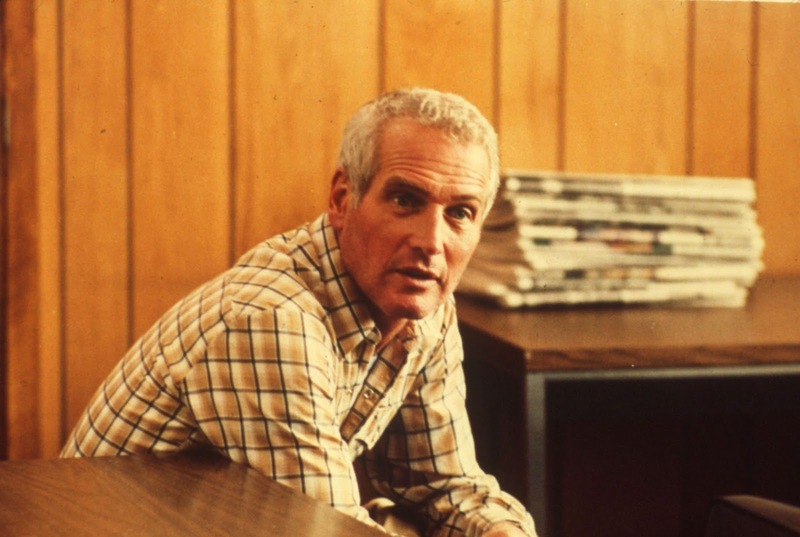 Absence Of Malice raises a few good points, grappling with serious questions as to when and why does a story become fair game, the merits of the public good against the rights to privacy, and the bumpy relationship between criminal investigations and the press. But the film also suffers from self-inflicted wounds, director Sydney Pollack uncharacteristically allowing many distractions to reduce the overall impact. Cramming an awkward romance, lazy journalism, a Hoffa-style missing union boss mystery, a scandalous abortion, a press-triggered suicide, sprinkles of commentary about feminism, and finally a clumsy turning-of-the-tables sting results in a narrative that spreads in all directions, none of them effective. There are long scenes of dialogue between Michael and Megan that start nowhere and spiral only downwards, with their romance artificially sparking regardless of the lack of wit and their continuous bickering. Newman and Field never find anything resembling chemistry, and that the stuttering affair between them ends up occupying the most amount of screen time is evidence of the film's lost focus. Newman is stony-faced but at least convincing as a private man thrust into the unwanted public limelight. Field struggles throughout, simply lame as a journalist who turns opportunities into mistakes, demonstrating poor judgement at every turn. Field is equally implausible as a romantic partner for Newman, doing absolutely nothing to gain his affection after brutalizing his life. The Absence Of Malice supporting cast is strong and helps to carry the film through its rougher patches. 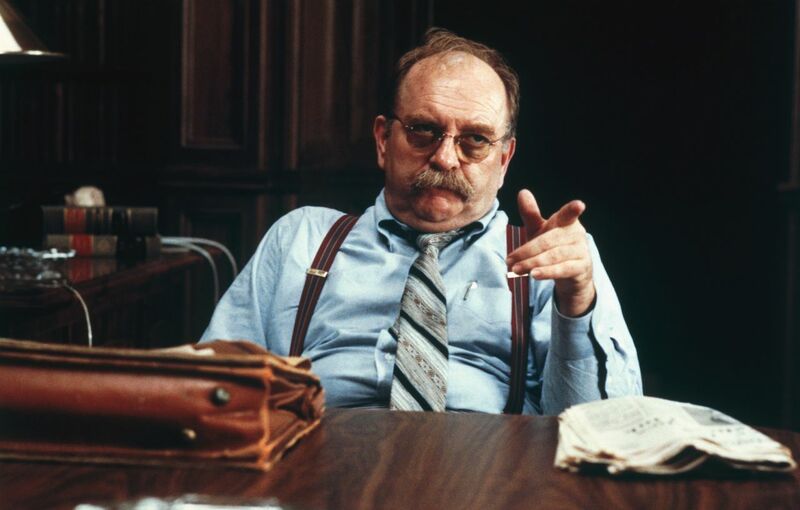 A highlight is Wilford Brimley as an Assistant Attorney General and designated mess cleaner, memorably bursting into the story in the final 15 minutes with a formidable energy. Melinda Dillon has a short but effectively melodramatic role, a woman with all the doors in her life already closed and the final window about to be slammed shut. Bob Balaban as the Diaz task force leader and Don Hood as the District Attorney add single-mindedness and some self-righteous sleaze. 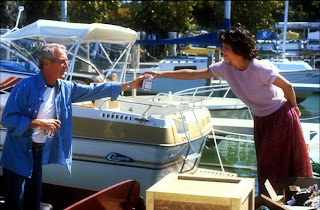 Absence Of Malice tries to be an important film about serious topics. It succeeds sporadically, but bites off more than it can chew and chokes on some of the essential nutrients.